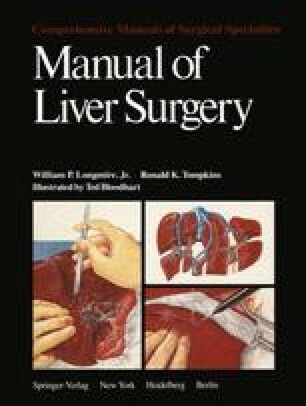 The liver, the largest of the abdominal organs, has a soft parenchyma thinly protected by a delicate fibrous capsule and limited substantial internal fibrous support; despite its protection by the right lower rib cage, it is the second most frequently injured intra-abdominal organ . The frequency of injury is documented in the multitude of cases seen in some of the major trauma services in the United States. For example, 1590 patients were treated for injuries of the liver at the Ben Taub Hospital, Houston, between 1939 and 1974 , 1404 at the Detroit General Hospital between 1961 and 1974 , 811 at Parkland Hospital, Dallas, between 1962 and 1971 , and 546 at the Charity Hospital, New Orleans, between 1964 and 1976 .